With Cinderella's Prince Charming and Tinker Bell both getting movies of their own, it seems a no-brainer that one of Disney's most popular "secondary" characters gets his own spinoff. 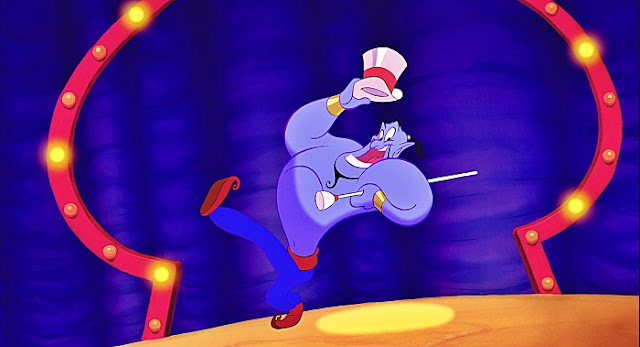 However, as much as we'd like to celebrate the news that the mouse house has announced plans for a live-action comedy that will reveal how Genie wound up in Aladdin's lamp, part of what made the character so special was the manic and bonkers energy that Robin Williams brought to the character. Genies will see a journey into the world of the mythic beings and explain how this particular blue magician ended up trapped inside the tiny lamp. 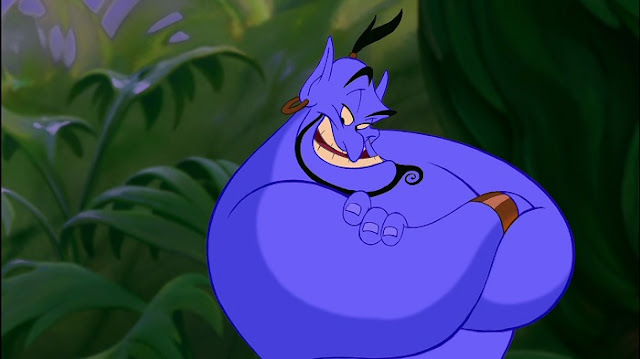 If all goes well, Disney want this to lead into a live-action Aladdin movie. So far these live-action retelling of their animated tales have proved big business, and we already have Pinocchio, Beauty and the Beast, Mulan and The Jungle Book on the way. This film, you can't help but feel, is going to come down to whoever gets cast in the lead. It needs to be a marquee name lead actor, and someone with enough charisma to do justice to the character that Williams made so memorable all those years ago. Whoever take on that role has some damn big pointy shoes to fill.